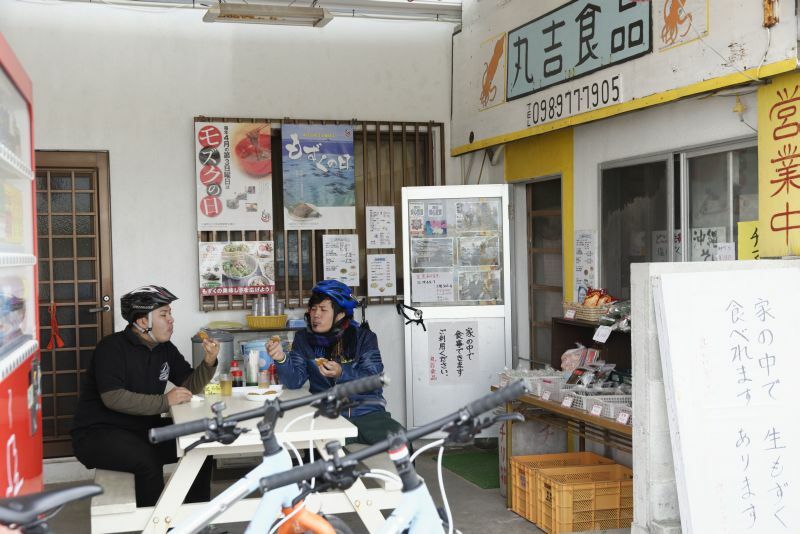 Home/Let’s go to a Bicycle Trip and feel Uruma. 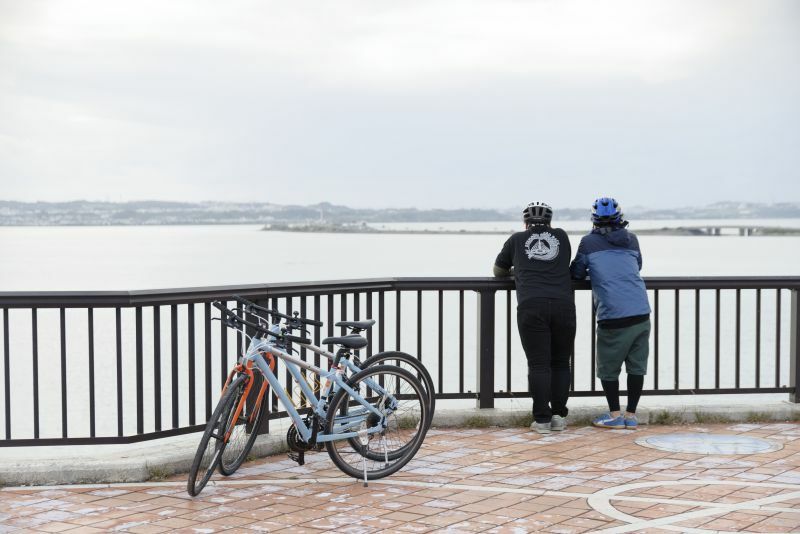 While mainland Japan is filled with reports of snow, Okinawa has just begun to cool down. not too cold weather is the perfect season to visit! 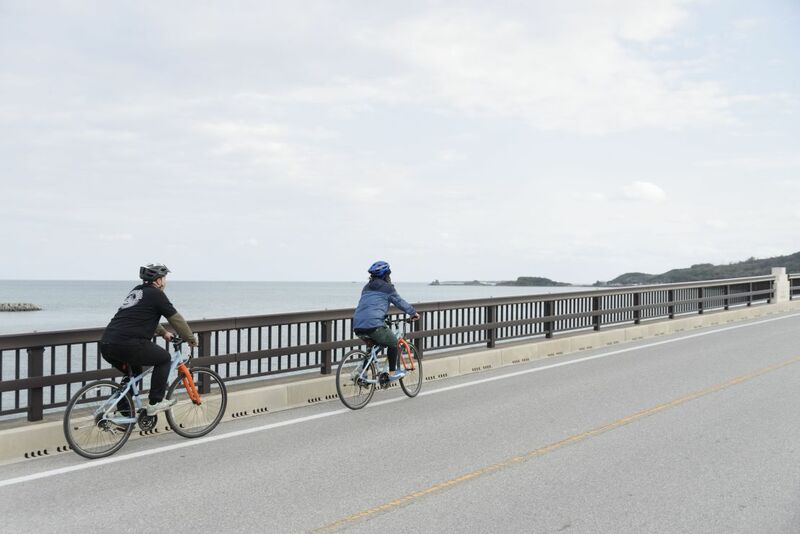 and take a slow bike ride through Henza Island, Hamahiga Island, Miyagi Island and Ikei Island. 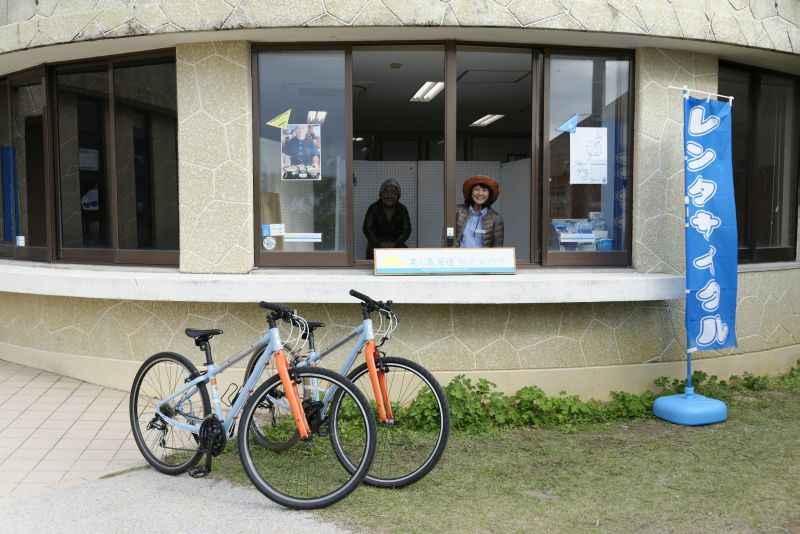 built within the Uruma City Tourism Products Association in the Sea road Park. 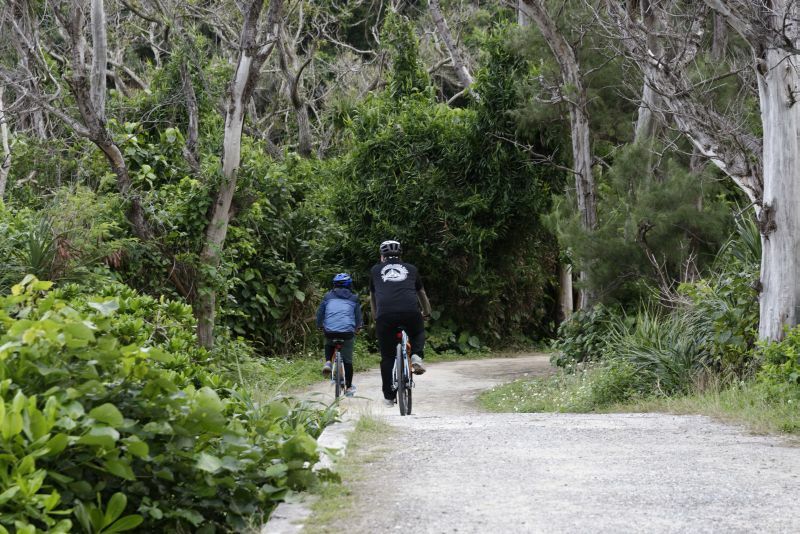 The center is stocked with rental bikes ranging from XS, S, to M sizes perfect for the whole family. The wind will call to you, but you must remain patient! First, you have to go to reception. 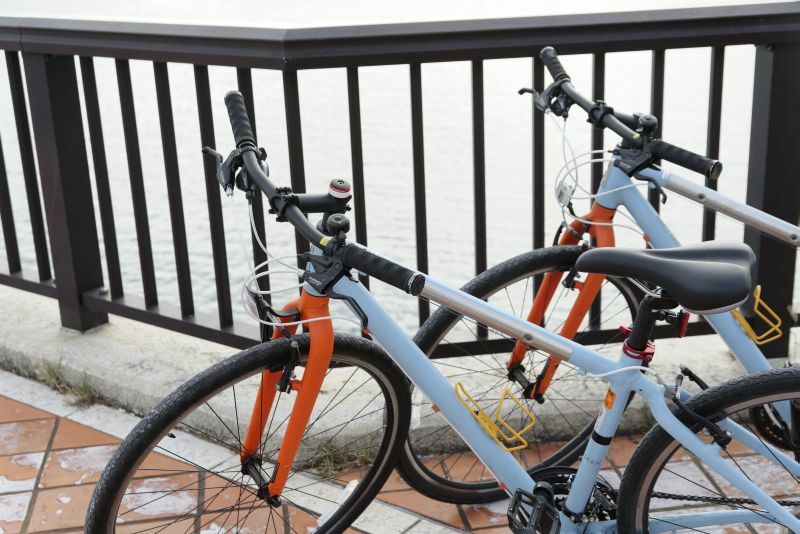 you need to check that your bike functions properly. It’s an important step to ensure a safe and enjoyable ride. Now it’s time for lift off! It’s the start of a fun bicycling trip! 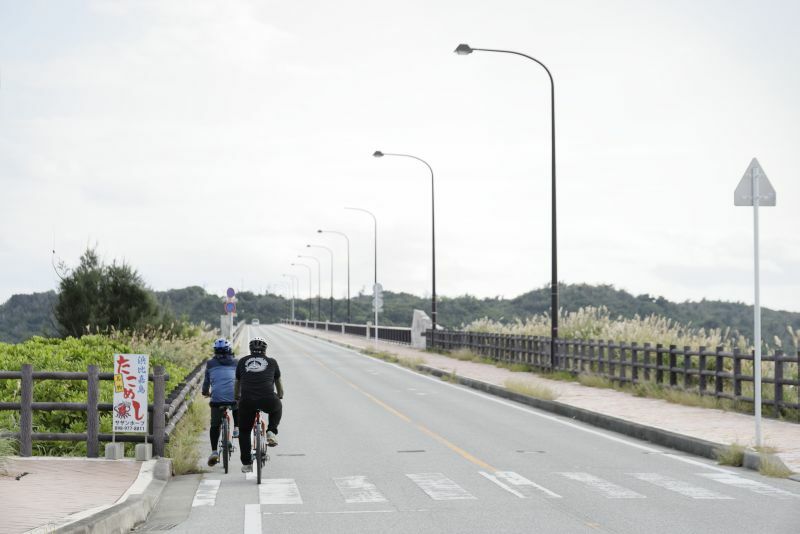 Be aware of cars, and bike safely! 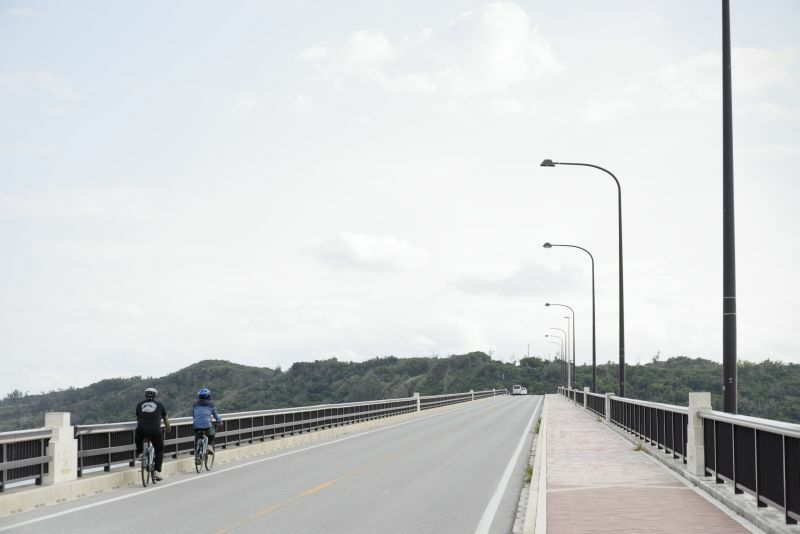 First, we head to the Hamahiga Bridge connecting Henza Island and Hamahiga Island. This bridge is around 1,430 meters in length, the longest of the bridges connecting the four islands! who up until this time had only been able to travel to the other islands by boat. you can see the Sea Road. Be careful- its magestic view will make you forget about the time. After you take a short break and cross the bridge, the road will split in two. 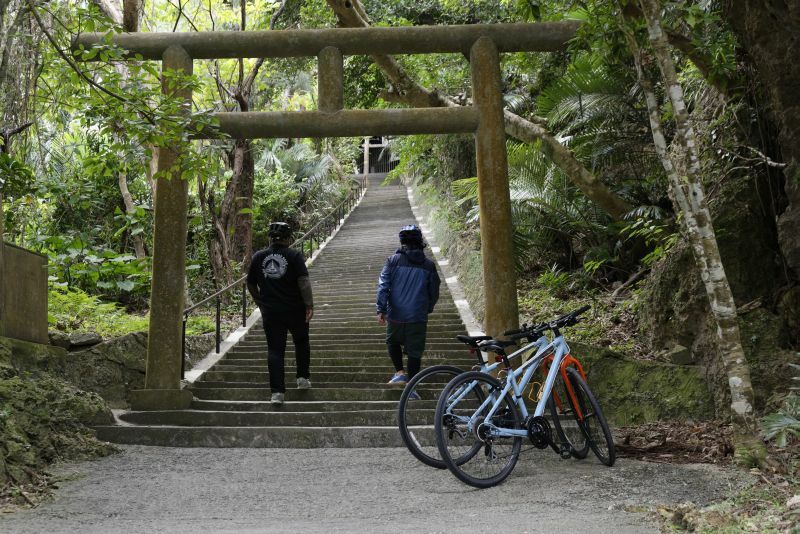 The left side will take you to the Higa Area, and the right will lead you to the beach area. where you can enjoy a slightly more quiet, calming atmosphere than the other Sea road beaches. 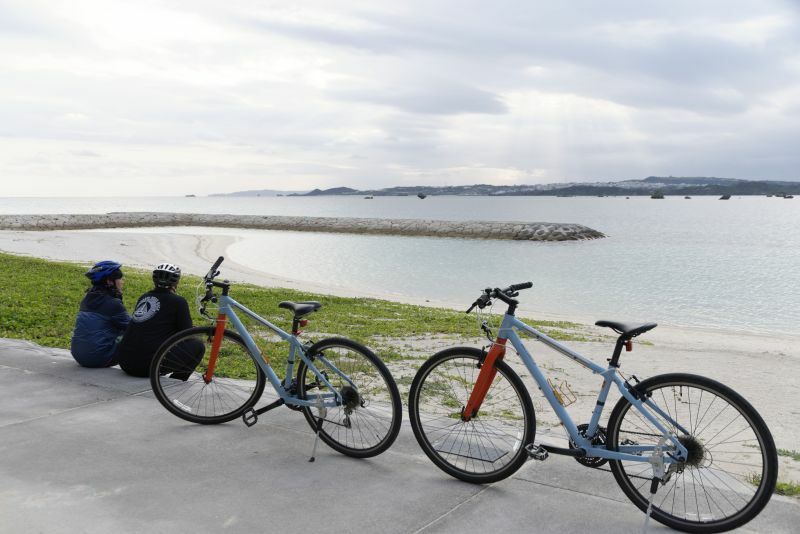 is one of the best parts of Sea road Cycling. and to this day the area is known as a power spot and filled with people who come to pray or absorb it’s energy. 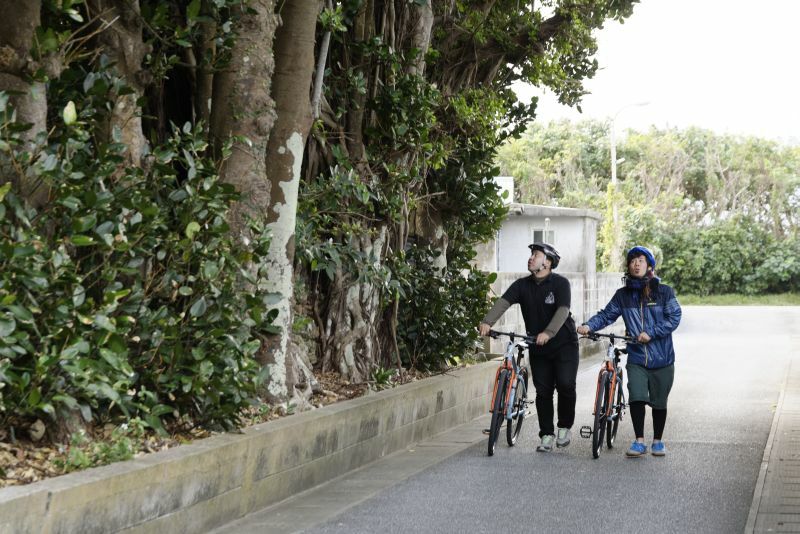 winding road flows smoothly beneath your wheels as you glide like a fish through the sea. 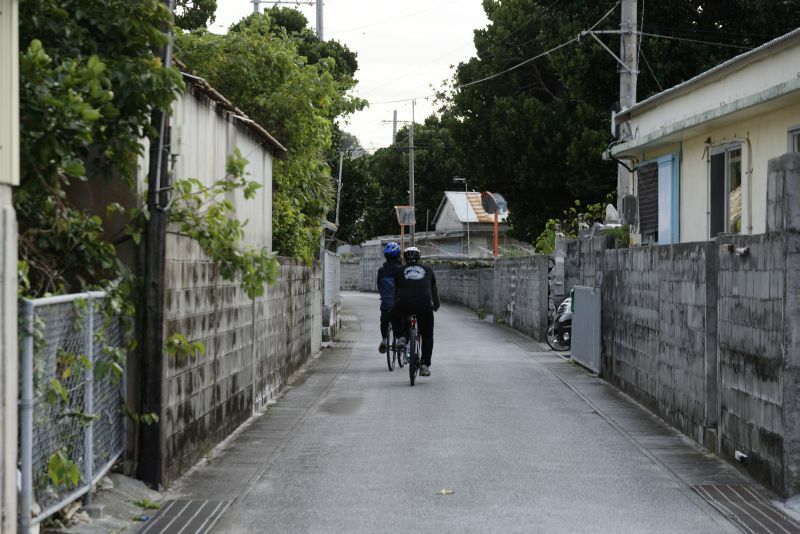 and reduce damage from typhoons- it’s knowledge that has been passed through the generations. Its only in places like this where you can feel the quiet breeze and flow of time from generations passed. 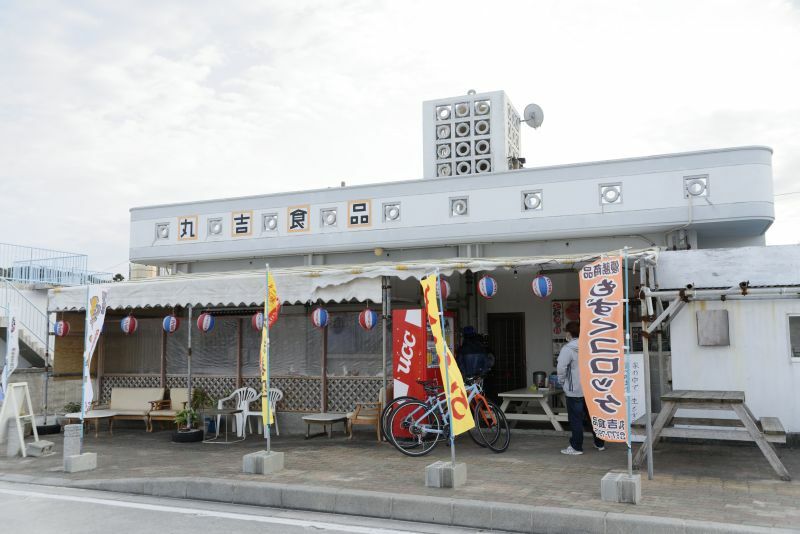 If you get hungry from all that excercise, stop by “Maruyoshi Foods” in the beach area. 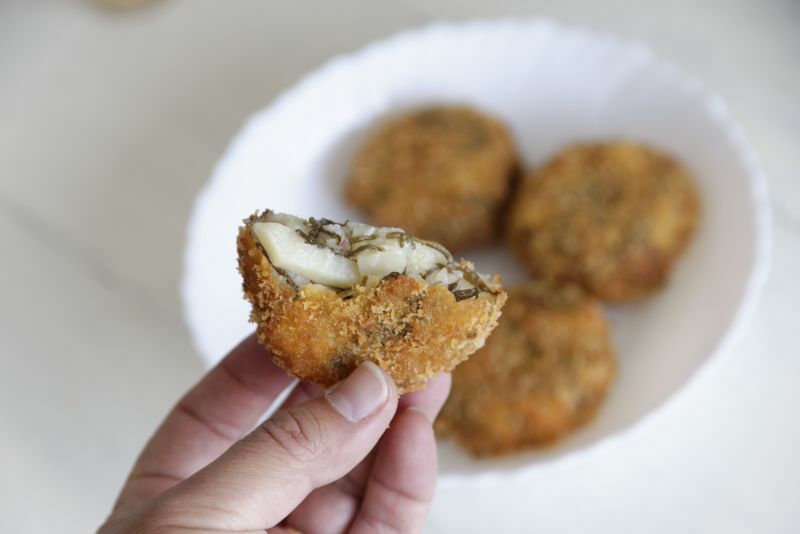 but this seaweed filled delight is one of Uruma City’s most popular items. the kindly woman of the shop heads to your table for a quick chat. These kinds of interactions with the local islanders is one of the most rewarding and exciting parts of traveling. enjoy an after meal rest at the “Hometown Beach Shore” by the restaurant. The white sand and sound of waves washing upon the shore will put your mind and heart at ease. The trip isn’t over yet! Now, we head towards Henza Island. 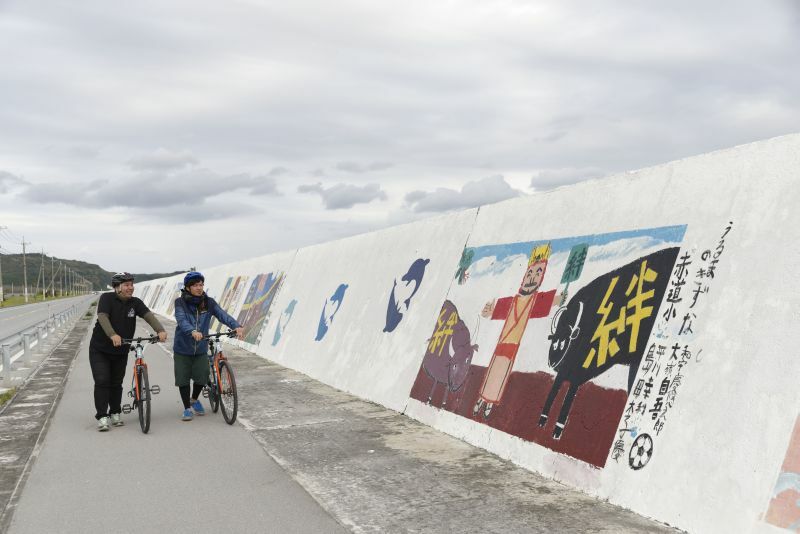 The road from Henza Island towards Miyagi Island is lined with mural art drawn by local grade schoolers. and walk at your own pace through this adorable art gallery. 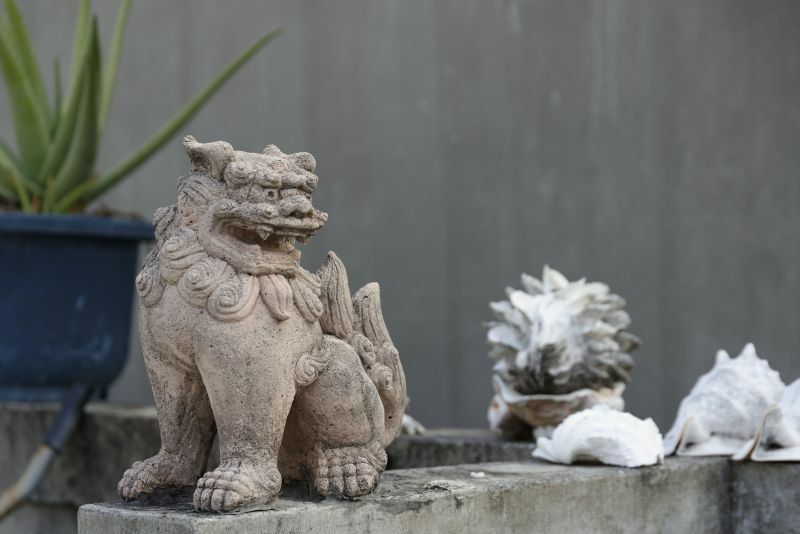 Each piece is unique, filled with images of family and friends. and will give you the power and energy to finish your bike ride strong. 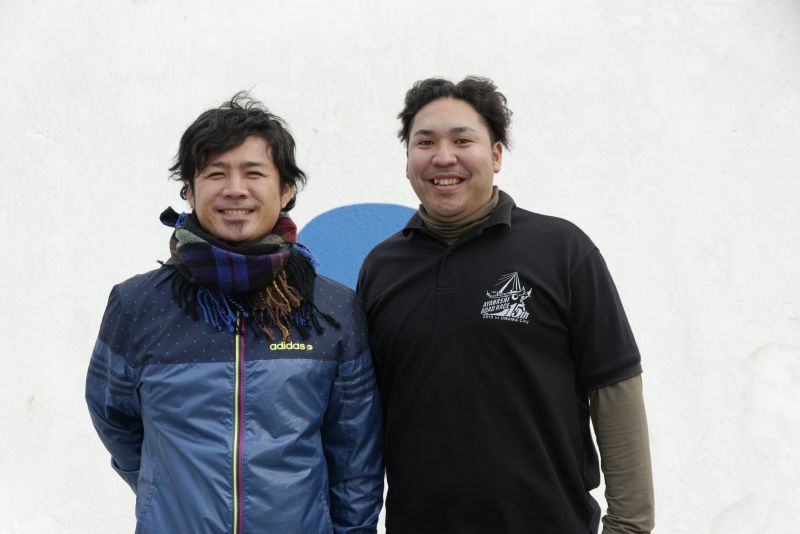 Our tour guides today are Mr. Hamamoto (left) and Mr. Nakamura (right). 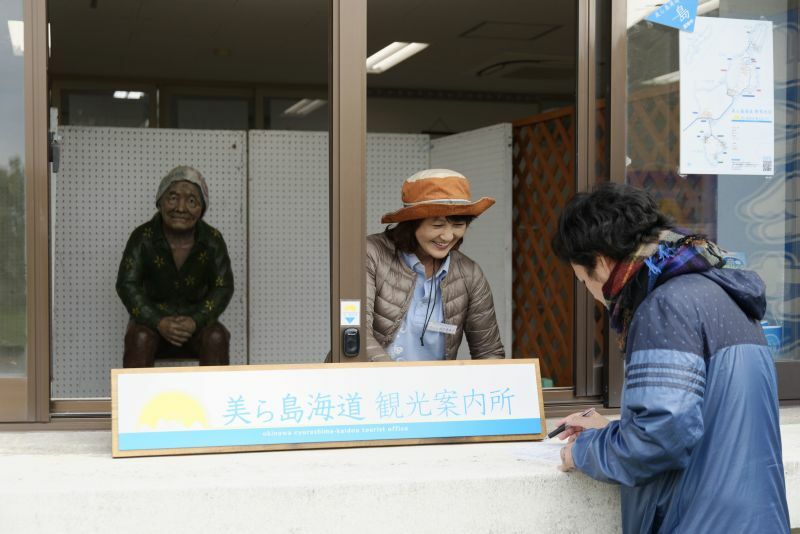 The two are also staff members of the Uruma City Tourism Property Association. to get the chance to really look at and experience at their own pace. and truly enjoy themselves”, explains Mr. Hamamoto. “There are several places you can’t reach by car, and the island is filled with attractions and surprises. and it’s clear from his speech just how much he loves his town of Uruma. 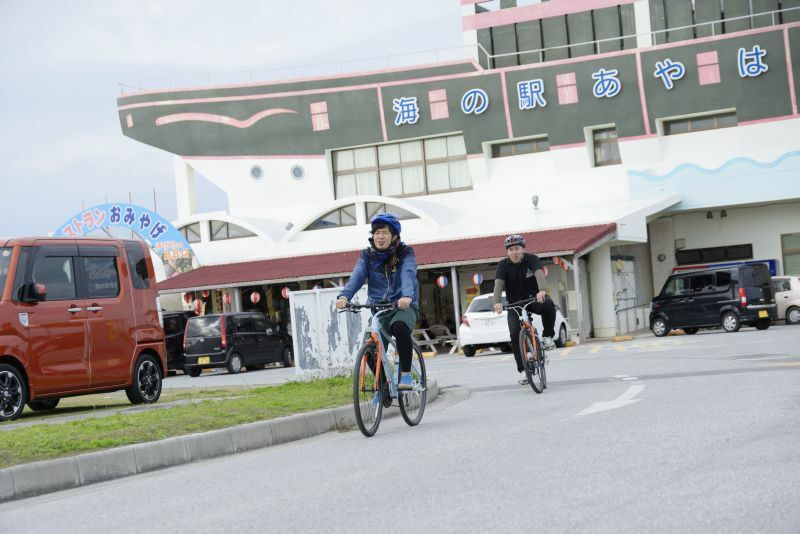 Our trip is over for now– we hope you can visit sometime and discover your own amazing Uruma City.